Stone Hollow is a community of 29 single family homes currently under construction. It is designed and built by GDC Homes, the Hudson Valley&apos;s premier developer of quality homes. Our homes feature gourmet kitchens, opulent master baths and exciting living areas. These are exceptionally designed homes with impeccable details. We site each home to maximize preservation of wooded areas and individual trees. 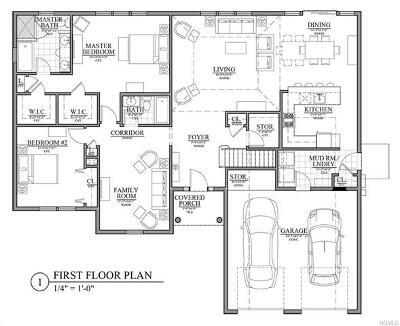 We also offer 9&apos; ceilings on first floor with dramatic open floor plans. Stone Hollow homes feature hardwood floors throughout first floor common areas, exceptionally designed kitchens, granite counter tops and quality GE kitchen appliances. The Aster is a true Ranch with the bedrooms on the first level which lends itself a contemporary open floor plan on the main level. 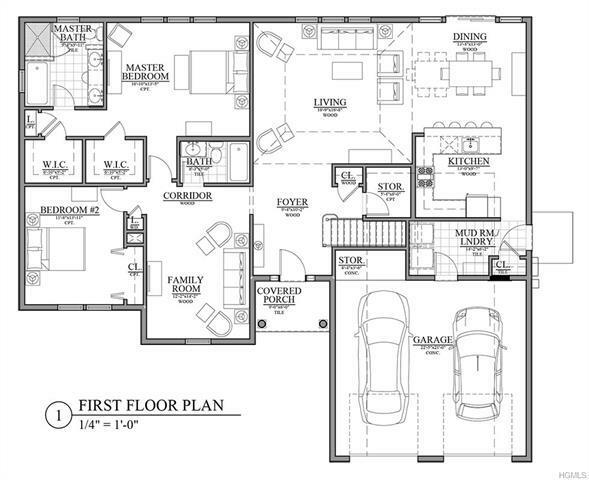 The Aster, a 2/3 BR 2+- BA with the option of adding additional square footage by adding a basement and a Bonus Room.